Eye cellulitis is of two types: preorbital and orbital cellulitis. The specific type depends on the part of eye infection has developed. See what is cellulitis infection to understand how it occurs. Although adults too can be affected, most cases are reported in children under age of 5 years. This is primarily because children are more susceptible to sinus infections. It is also for similar reasons that incidence rate is higher in cold seasons. Cellulitis of the eye requires medical treatment. If not treated, bacteria can spread to the brain or spinal cord. Other complications such as blindness and permanent swelling may also occur. In hospitals, doctors treat cellulitis with antibiotics. What is cellulitis of the eye? To answer the “what is cellulitis of the eye?” question, it will be important that we look at the two different cellulitis types that can develop in the eye. Above the eye socket is soft tissue known as the orbital septum. When infection occurs in the skin anterior to the soft tissue, it is referred to as preorbital cellulitis. This type is usually confined to the eyelid and surrounding skin. Since it does not involve vital parts of the eye, vision is not affected. Pain is also not considered one of its symptoms. It is mostly characterized by swelling and redness of the eyelid. This is the more serious type of the two. It is an infection that develops in the muscles posterior to orbital septum. Swelling and redness usually occur both in the eyelid and the eye. Pain is also present, especially when attempting eye movements. 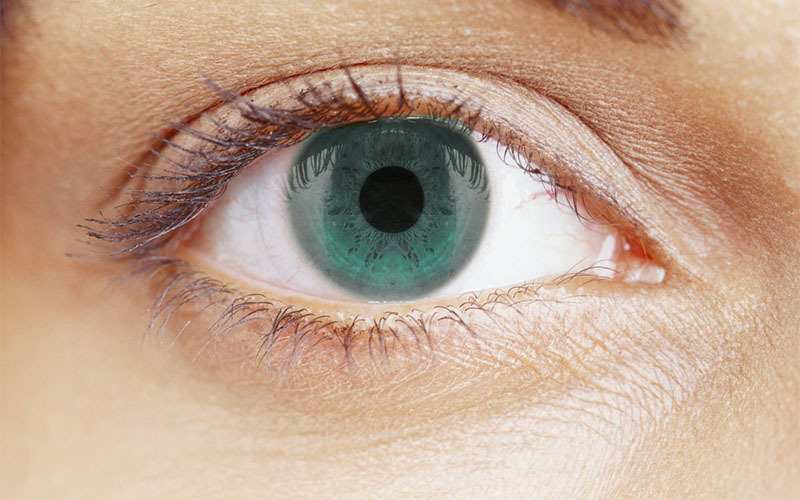 Vital parts of the eye such as the cornea and retina are usually affected. For this reason, patients will experience blurred vision and possible complete loss of vision. Since orbital cellulitis reaches the fat skin tissues around eyes, symptoms may extend to the eyebrows and cheeks. Swelling may occur in either or both eyelids. It may make it hard to open the eye. It is unlikely that the patient will develop a red or pink eye. Also, swelling will not extend into the eye. Since orbital cellulitis sometimes occurs as a complication of an infection in the upper respiratory tract, there may be signs of a primary infection such as bleeding in the nose, congested nasal passages, pain inside ear and dental cellulitis. 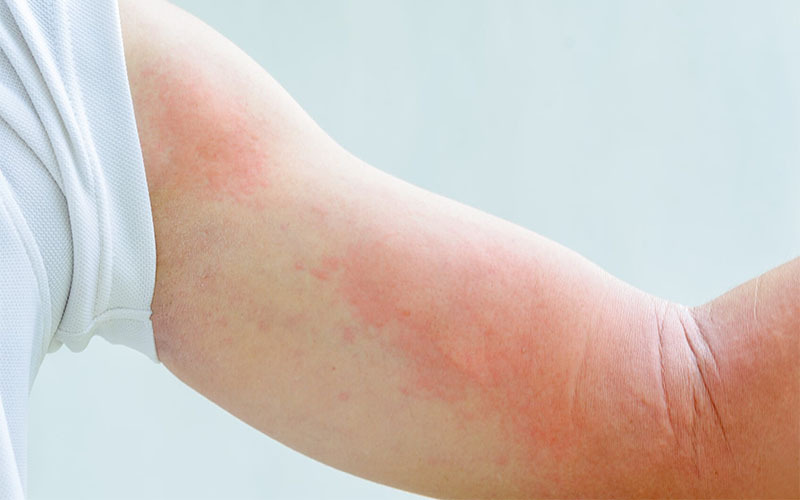 Is cellulitis itchy? 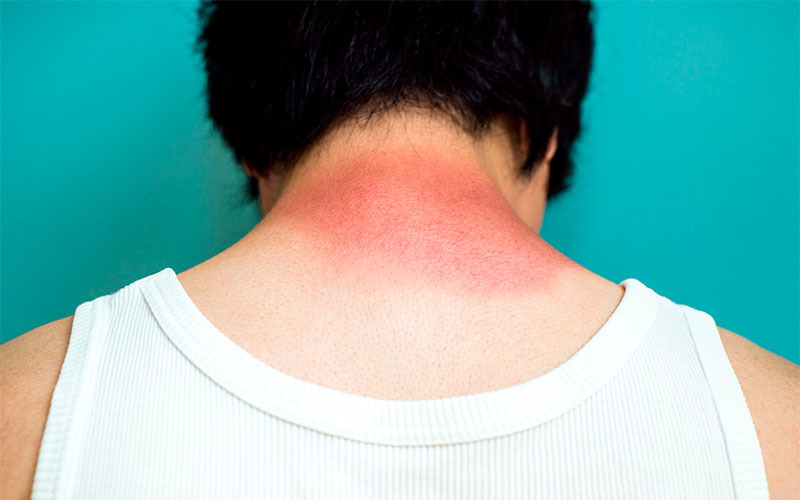 Burning and mild itchiness will accompany main symptoms in some cases. What causes cellulitis in the eye? Staphylococcus bacteria are mostly responsible for periorbital cellulitis in adults. The bacteria are contagious, meaning that they can easily pass from one surface or person to another. The skin provides a protective barrier which keeps the bacteria off the soft tissues. 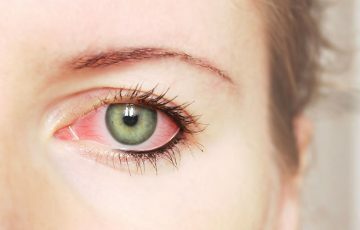 Injuries around the eyelid, bites or other infections such as styes act as entry points for bacteria. 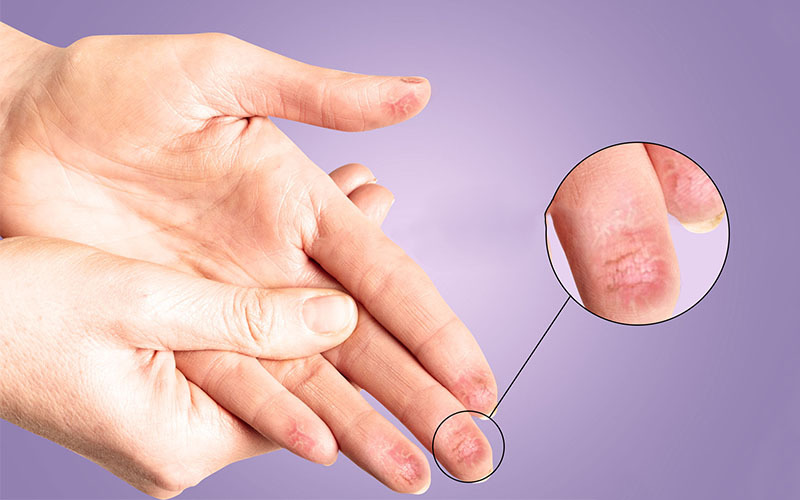 The warm, moist and nutritious conditions in the dermis and subcutaneous tissue allow both division and spread of the bacteria. Staph bacteria can also be introduced into the skin by foreign objects and during surgical operations. About 90% of all orbital cellulitis cases develop as a result of a primary infection, mostly in adjacent sinuses. Less commonly, injuries near eye may be responsible. Since vaccination against Haemophilus influenza type B was introduced, cellulitis caused by these bacteria has dropped from about 17% to about 10%. In individuals with weakened immunity, fungi can also cause infections around the eye socket. This is however quite rare. It is also possible that an infection can be caused by more than one type of bacteria or microbes. In such case, infection will be more serious and require immediate medical treatment. 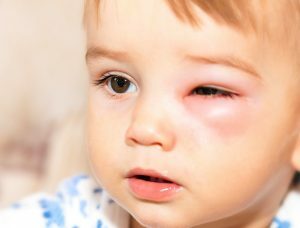 How is eye cellulitis diagnosed in children and adults? 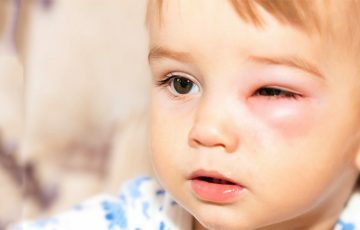 Most diagnostic tests for eye cellulitis can be done in children as well as in adults. Medical diagnosis is usually very important. There are other various conditions that can mimic cellulitis. 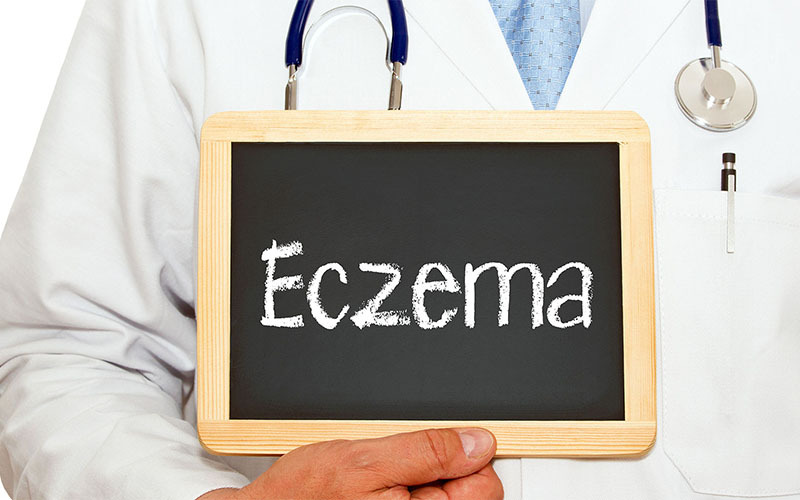 These include styes, chalazia, psoriasis and eczema. This involves checking for signs and symptoms of eye cellulitis. The doctor will ask for details on the patient’s medical history plus the timeline and nature of the symptoms. A blood test can be used to either help in identifying the nature of the pathogen causing infection or in counting the number of white blood cells in the blood. In the advent of an infection, white blood cells are produced in higher levels to fight the infection. Urine test can also be taken along with blood test when diagnosing scrotal cellulitis. Some fluid is collected from the affected area of the eye and cultured in the lab. This helps determine the type of bacteria causing infection. It is very important, especially when antibiotics are not working. A culture of the nose may also be taken if there are signs of sinus infection. In children, severe infection may be diagnosed by collecting cerebral spinal fluid. X-rays are helpful in case infection is suspected to have been caused by a foreign object in the ocular cavity or nasal cavity. CT scans help differentiate between orbital and preorbital cellulitis. As for MRIs, they are helpful in checking for possible complications such as blood clots and dead tissue. Antibiotics are the main types of medications used to cure cellulitis in children and adults. 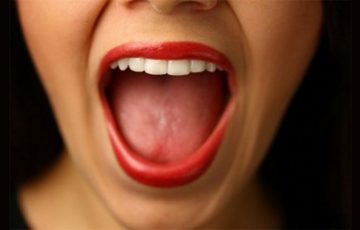 If only mild symptoms are present, oral medications will be prescribed. Follow-up appointments will be necessary to prevent recurrence and ensure that the infection is completely cured. IV antibiotics are often used for orbital cellulitis. Some clinicians prefer to give IV antibiotics which take longer to completely decay. After 3 days, follow-up treatment is then done with oral medications. 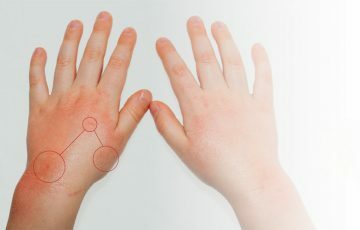 Cellulitis in infants and children less than 5 years of age are usually treated intravenously. Patients will have to stay in the hospital for at least a day. It is likely that redness in the affected facial areas will become severe in the first 24 hours after an antibiotic dosage. This is a sign that the medicine is working. If it doesn’t improve in the next 2 to 3 days, check with your doctor. 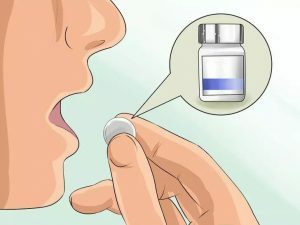 Patients are required to take all medication as instructed by a doctor. This is true even after most symptoms have disappeared. When orbital cellulitis is intolerably painful, doctors usually prescribe pain medications. Patients can also buy pain management pills over the counter. 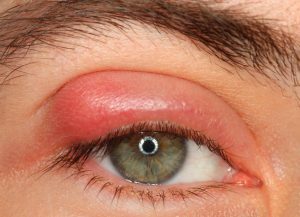 Remember that pain is a symptom of a potentially dangerous form of eye cellulitis. Medical attention should be sought. Steroids are often used for conditions that result in inflammation. They are not curative but effective in improving symptoms and fastening recovery. Since some steroids can weaken the immune system, a professional should direct their use. Severe forms of cellulitis in the eye sometimes require surgery. This may be to drain any abscess or get rid of dead tissue. 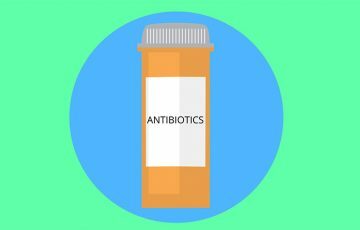 In this case, antibiotics or other medications are given to manage or treat a primary condition thought to be causing cellulitis. Treatment at home is aimed at improving infection. Remedies such as tea tree oil for cellulitis and essential oils may help. Other home treatments and care measures include warm compress, rest and keeping the affected area raised above the heart. The latter works best for symptoms of cellulitis in leg associated with vascular problems. Complications of untreated eye cellulitis include meningitis, loss of vision, abscess and blood clots in cavernous cavity or retinal vein. Prognosis is usually good when treatment is done in the right fashion. Only about 12% of eye cellulitis leads to complications. Prevention is best done by keeping bacteria from entering the skin. This can be achieved through measures such as bandaging wounds and getting medical help for sinus or ear infection. Experts also warn against unnecessary use of antibiotics. 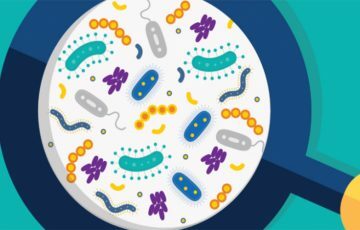 This is because bacteria are increasingly becoming resistant to commonly used antibiotics.